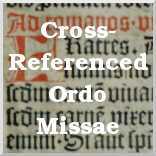 The Order of Mass with relevant paragraphs from other documents, such as the General Instruction of the Roman Missal, the Ceremonial of Bishops, and Notitiae in parallel columns. 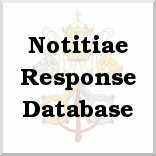 Responsa ad dubia (Responses to Doubts) on liturgical topics from the journal Notitiae of the Congregation for Divine Worship and the Discipline of the Sacraments (formerly the journal of the Consilium). 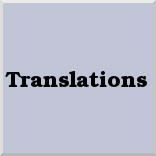 Responses are usually in Latin; some have been translated into English. 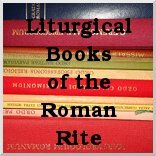 Bibliographic information on current liturgical books in Latin for the Ordinary Form of the Roman Rite. 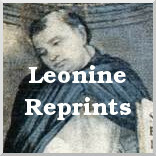 Reprints of the Leonine Edition of St Thomas Aquinas's works: S. Thomae Aquinatis opera omnia iussu impensaque Leonis XIII p. m. edita. These are printed on demand and sold through Lulu at cost. Various translations I have done. Some presentations, essays, booklets, and my curriculum vitae. 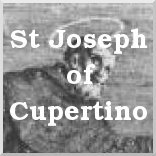 The entry on St Joseph of Cupertino from the Acta Sanctorum. 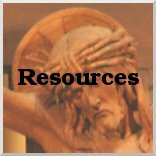 What will I see in a Catholic Church? Anointing Before Surgery: When and Why?